Couldn't help myself! 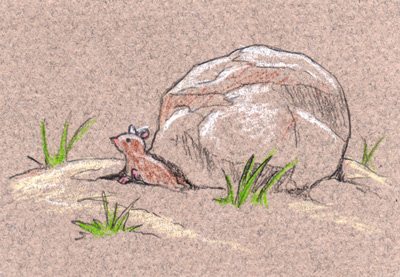 Colored pencil on beige ACEO. mikka says: D'awwwww. Not a chipmunk, but the attitude certainly reminds me of many I've seen. :) Thank you! ~ Reply? Nightsparklies says: this is so precious and cute! :)	~ Reply? Mayumi Ogihara says: So adorable!! ~ Reply?